Fine lines are wrinkles are common signs of aging in the skin that have been known to make people self-conscious of their image. Sometimes, fine lines and wrinkles can make someone appear older than they actually may be. If you are self-conscious of how age lines are affecting your profile, Dr. Rader offers Botox® as a minimally invasive way to refresh the skin for a youthful look. Access Family Physicians in Zionsville, Indiana is led by Dr. Sarah Lynley Rader who is determined to provide each and every patient with an unparalleled medical experience. We offer comprehensive care for patients of all ages and believe every patient deserves a personalized treatment to realize your unique needs. Contact us today to schedule your consultation to learn if Botox® may be right for you! Botox® is a world-famous anti-aging solution to temporarily improve the appearance of moderate to severe fine lines and wrinkles between the brows and around the eyes. This safe and effective formula has been approved by the FDA and is revered by many aesthetic specialists. By using tiny amounts of highly purified botulinum toxin protein, Botox® can help turn back the clocks on your skin. How does Botox® address age lines? As we age, our face gradually loses volume and our muscles begin to contract closer to the surface of the skin. The more our facial muscles operate towards the superficial layer, the more age lines become defined in the skin. When injected, Botox® utilizes the highly purified botulinum toxin protein to reduce facial muscle activity. Once facial muscle activity has slowed, you may be able to notice softer age lines. When can I see results from Botox®? Many people who have been refreshed with Botox® have seen noticeable results of smoother age lines between 24-48 hours of their treatment. These amazing, youthful results can last you up to 4 months. Ask Dr. Rader and her team about a Botox® treatment plan that may be right for you so that you may see younger-looking skin in your reflection all year round! Following your treatment with Botox®, you will not be required to set aside any downtime for recovery. You may continue your schedule immediately after your appointment! Look younger and feel rejuvenated with Botox®! 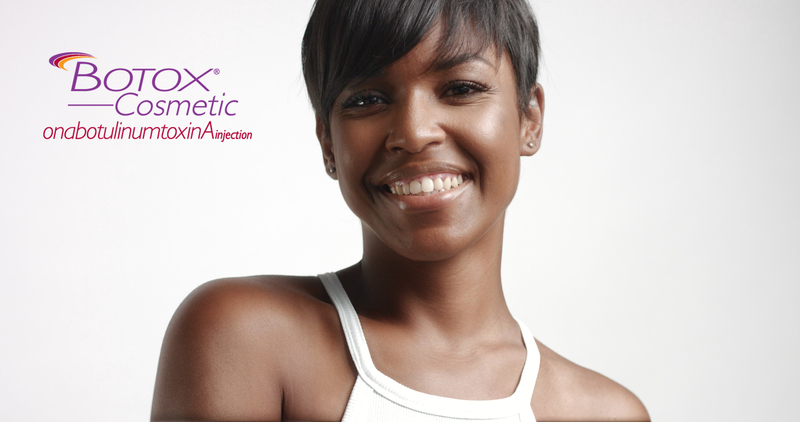 Contact us today to schedule your consultation and find out if Botox® may be right for you!